So, WWE is bringing back older stars or have at least reached out to some bigger names to help make this brand split make more sense. Is this good? Is this bad? I think I'm in the middle on this one because of the names in question. There are some rumored names that could truly make the difference and some names that just don't have the same impact. There's one variable here, and that's the message it sends to the present day roster. With a roster that features Ambrose, Rollins, Reigns, Owens, Zayn, Cesaro, Nakamura, AJ Styles, Bray, Cena, Orton, Ziggler, Balor, The New Day, Gallows and Anderson, Samoa Joe, and a ton of others, are these older stars really needed? Are they even wanted back? Maybe some of them, but with a growing NXT roster that will soon be called up, would the older stars get in the way, or could this be a great way to bridge the gap between generations so to speak? The older stars working with the new and putting them over? Pushing them to the limits? Well, then comes the time to examine the names rumored to being offered a spot back. The biggest name out of the bunch is Goldberg. 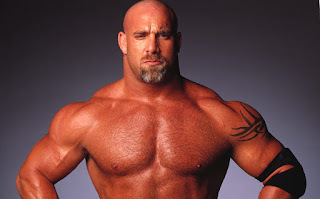 What value does Goldberg have if he comes back? He's good for one or two more matches, but what about an actual regular run? Do we want to see him on RAW weekly? Who would he face? Ryback isn't on the roster anymore really and none of current roster really would mesh with him. Is there money in a brief Cena vs Goldberg feud? Perhaps. Is there any excitement to a Reigns vs Goldberg feud? No. Could Ambrose drag entertaining segments out of him? Maybe. Is it enough to warrant a return? Sure, for one or two matches at best. That's it. Anything more and the novelty of it is completely lost. There is one return however that could make a difference and you know who that is. Kurt Angle is a free agent. He's on the indies and wrestling sporadically, but it's been said that WWE has reached out to him to be a part of the brand split and the show again. This excites me because Angle has so much he can do and he can close his career out at a Wrestlemania, like he wanted. The amount of excitement and attention that a Kurt Angle return would give to the casual fans who were around for the Attitude Era and Ruthless Aggression era would be amazing. Angle logically could help team and coach American Alpha, but as a performer, there is a lot he can do also. Who wouldn't want to see Angle vs Balor? Angle vs Cesaro? Angle vs Owens? Angle vs Zayn? Angle vs AJ again on the bigger stage? Angle vs Seth? Angle vs Samoa Joe on a bigger stage? The list goes on and on and on. If WWE goes after anyone for a full time or high appearance part time return, Angle is the key. He is the one. Period. 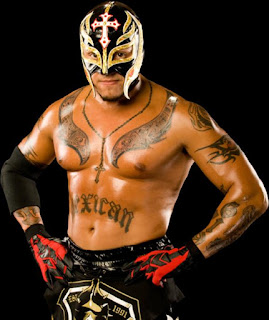 Rey Mysterio returning isn't as bad as I thought, but it's not exciting. I'm down for him being a regular worker and fighting Cesaro, Zayn, Nakamura, or Owens as well. It wouldn't be a big deal, but to be honest, Rey returning could add a veteran element that is lacking in WWE, similar to what Angle could bring, but just much lower than Angle. I'm not against Rey returning, but it just has to be on the right terms and against the right people on the right show, which is likely Smackdown. There's rumors of Jeff Hardy returning soon, and while the Brother Nero storyline soured me on a return for him to WWE, I just don't see a purpose for him anyways. At best, it'd be cool to see Jeff Hardy painted up and doing his signature moves against a Kevin Owens or Seth Rollins, but that's really where it stops. I have no true desire to see Jeff Hardy cut 10 minute in ring promos or even wrestle much on WWE. Could it work? Maybe. But, it won't be as effective as his run 7 years ago or close to it. There are some other names like Shelton Benjamin, Tajiri (who is in the WWE CWC as well), Cryme Tyme, Carlito, John Morrison, and pretty much all the other mishandled superstars from the 2007-2010 WWE PG Era. Shelton returning is fine, and I'd like to actually see him more in NXT than the main roster, but he could be a good addition to Smackdown as well. I'd keep Tajiri away honestly, same with Cryme Tyme and Carlito, as neither would provide much of anything else to the show in my opinion. The tag division is stacked and Cryme Tyme have such a bad gimmick that it would probably get stale fast (it's still JTG HOF 2039). John Morrison isn't needed either, but I'd be fine with him coming back for a regular run in ring wise. Otherwise, it's nothing really special about him coming back. I'd say that's the consensus here. Most of them are not needed except of course Angle and maybe Mysterio. The rest aren't needed. Angle is the key and enough to shake up the brand draft. Shelton would be welcomed, maybe Morrison, but Goldberg is a Wrestlemania only attraction and the rest are insignificant. If they aren't needed, then why bring them back? That's a question you'd only have to ask WWE.